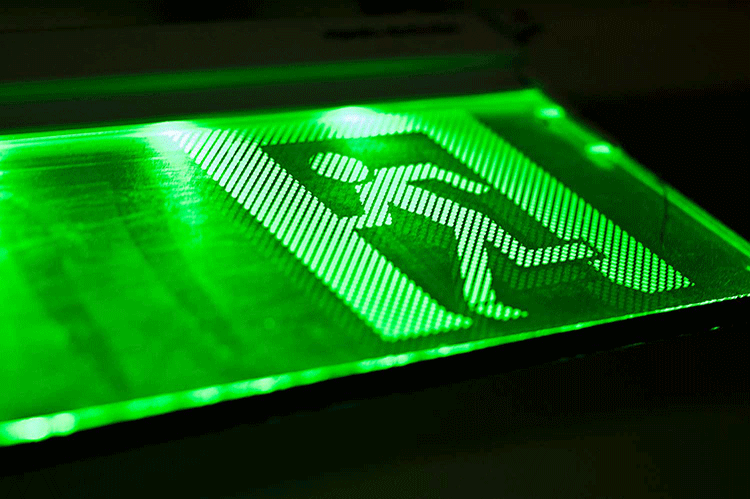 The main purpose of emergency escape lighting is to illuminate paths and routes used for escape. On top of this, the lighting also illuminates crucial safety equipment needed during emergencies. The type and size of your building, together with the amount of risk they occupants face will determine the complexity and nature of emergency escape lighting needed. For small and medium sized buildings (like an open-plan hall, single storey building), borrowed lighting from a reliable source, for instance a street lamp, can be used to illuminate escape paths in places that do not get a lot of traffic. For high risk areas like kitchens, borrowed lighting may not be the best option for illuminating escape paths. In this case, special torches that only staff can use can be fitted strategically in different parts of the space. 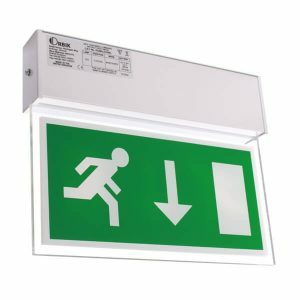 In simple buildings where borrowed lighting is not available, a series of ‘single, stand-alone’ escape lights can be installed together with exit or directional signs to guide any individuals who wish to evacuate a building. You must ensure that the light from the signs does not reduce the illumination coming from the main escape lights. In more complex buildings, such as multi-occupied or multi-storey buildings, a more comprehensive and extensive emergency escape lighting infrastructure is needed. When doing your fire risk assessment, you must identify all escape paths that can be used for evacuation. Next, you need to check whether all paths are properly lit. If there are escape paths that are not properly lit by natural light (e.g stairways), then appropriate switches for escape lights must be installed and clearly marked for everyone to see. Markings such as ‘Escape Lighting’ can be used to show the position of an escape light switch at the entry of a dark area (for instance, stairs). halls or other large spaces greater than 60 m2. It is not mandatory that you fit individual emergency escape lights in all the above mentioned areas. However, you must ensure that all these areas have adequate lighting that allows them to be visible and usable. There are two main types of emergency escape lighting. The first is maintained lighting which stays on all the time. The other is non-maintained lighting which only works when normal lighting fails. Individual escapes lights called luminaries as well as entire emergency escape lighting system may be configured to function for periods between one and three hours. In practical use, the 3-hour units are the most used and they can also come in handy during other scenarios other than emergency situations e.g power failures. Emergency escape lighting can be in the form of stand-alone units or units that are incorporated into the structure of normal lighting. There are usually decorated versions of both these units that are specifically suited for places that need to be aesthetically pleasing. Power supplies for the units include an automatic start generator, a central battery back and rechargeable batteries integrated into each unit. To assist people who are not familiar with ins and outs of a building, emergency escape lighting can be complemented with path-guidance systems. Path-guidance systems are usually made up of strips of miniature incandescent lamps, or lines of LEDs, or any photo luminescent material that forms a continuously marked escape path. These systems have proven to be particularly useful for people who are escaping through smoke and also partially-sighted people. They can be very useful in buildings where floors are clearly visible and also in multi-storey and other complex buildings where they can be used to direct people to escape paths located in rarely visited places. If you think you need a new emergency escape lighting system installed or want to modify your current system, it is important that contract the right professionals who have the proper qualifications and credentials to do this work. In buildings where emergency escape lighting is powered by gas or other means apart from electricity, the existing system is not so different from one that is powered by electricity. These systems should still be maintained regularly and appropriately. In regards to repair, certain safety measures should be taken such as emergency shut-off, knowing the location of combustible materials and protection from draughts. Strobes, lasers and other form of intense lighting are not suitable for emergency escape lighting systems. If the lighting is favorable, the nose sections of all stair treads should be preferably be highlighted or made conspicuous by using photoluminescent painting or other means. Path-guidance tools can also be used in this case. All escape lighting fixtures should be maintained properly and regularly in accordance to building safety regulation standards. Most system need to be manually inspected and tested. However, there are modern systems that have self-testing capabilities which make maintenance procedures fast and easy. Based on the type of system you have installed, it is possible for you to perform routine tests all by yourself. If you are uncertain about how to go about testing your emergency escape lights, it is best that you contact your supplier or a qualified professional. Testing may involve insert a special key called a ‘fishtail’ key into a switch that adjacent to the normal light switches or near the main fuse board. You should take necessary precautions when performing a full discharge test. Batteries can take up to 24 hours to recharge. The building should not be occupied during the entire discharge process. It is advisable to keep proper records on all tests you perform.